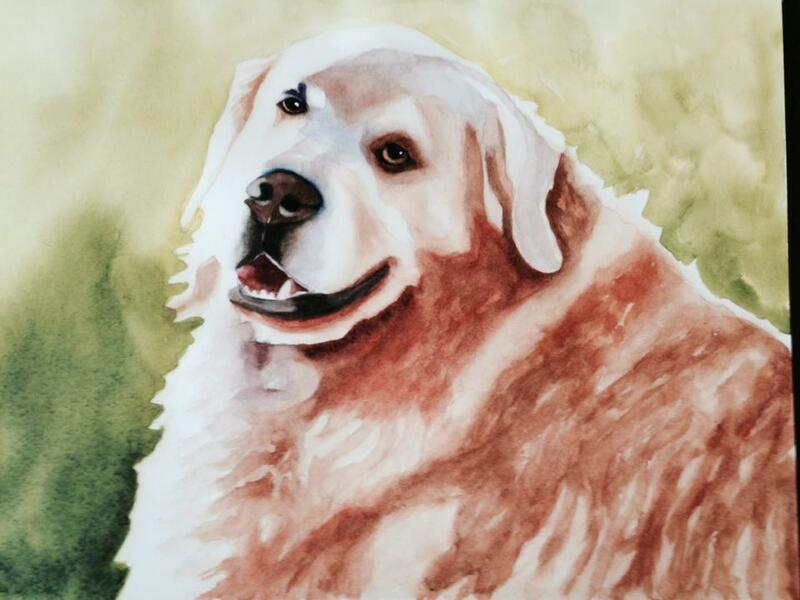 I got my start as a pet portrait artist spending a year painting my two yellow labs. 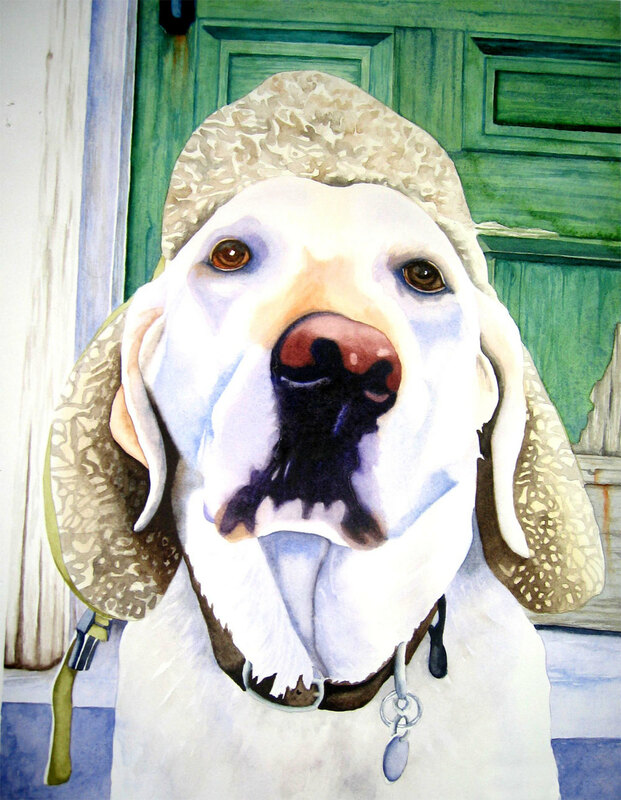 I devoted a year painting Addison & Wyeth creating an exhibition titled "Gone to the Dogs". It was such an enjoyable show to create. 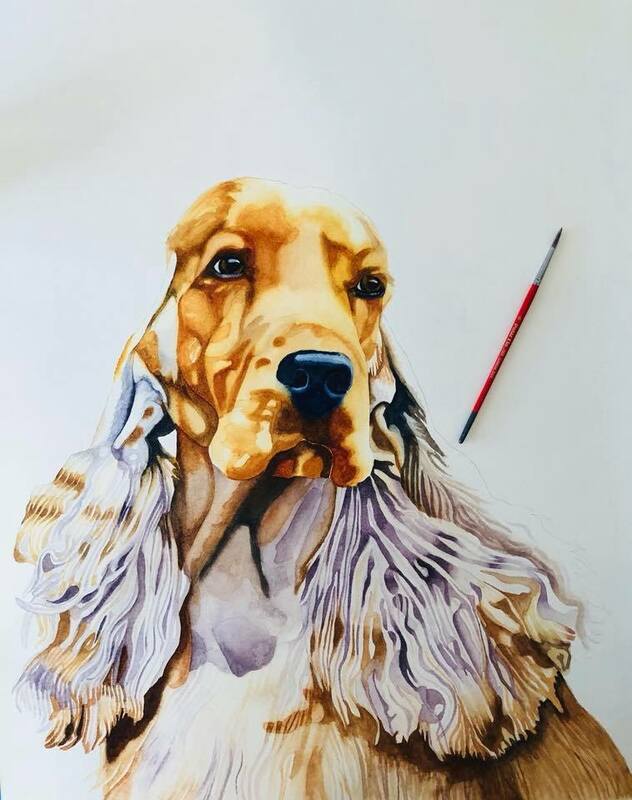 I connected with so many people, and started being asked to paint other people's dogs. 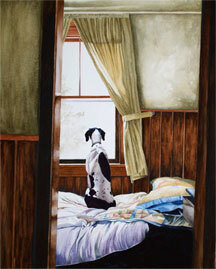 My paintings have been featured in Orvis catalog. 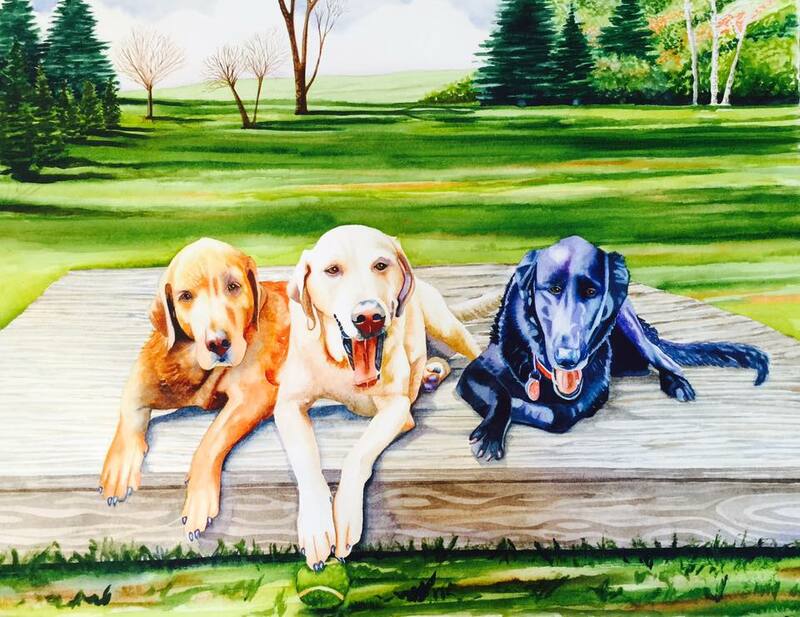 I'm honored to have several of my dog paintings hanging at the National Institutes of Health, in Bethesda, Maryland and the Cancer Institute in Virginia. 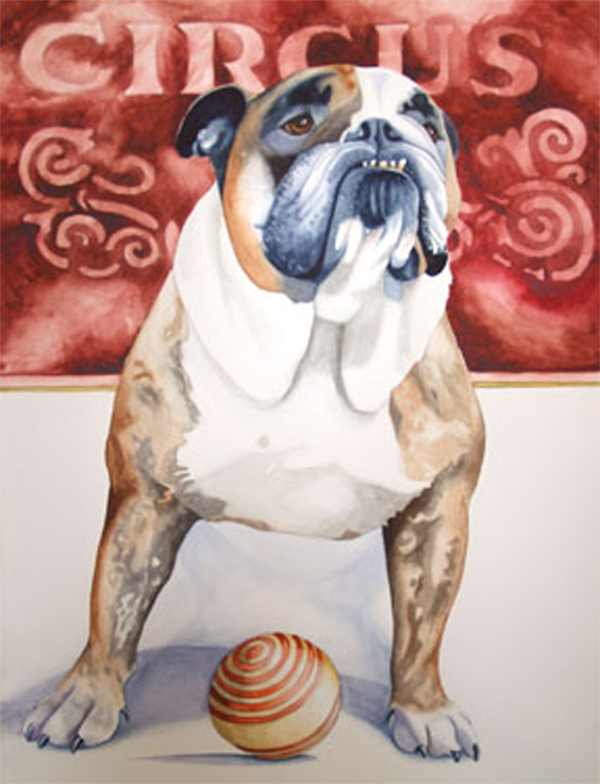 I have several paintings all over the country in private collections. 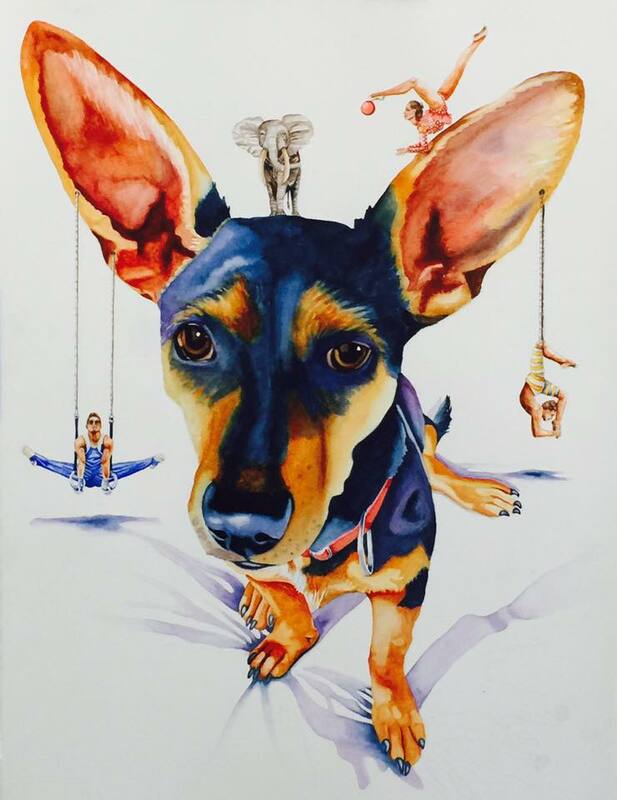 I consider it an honor to paint people's pets and take it very seriously. 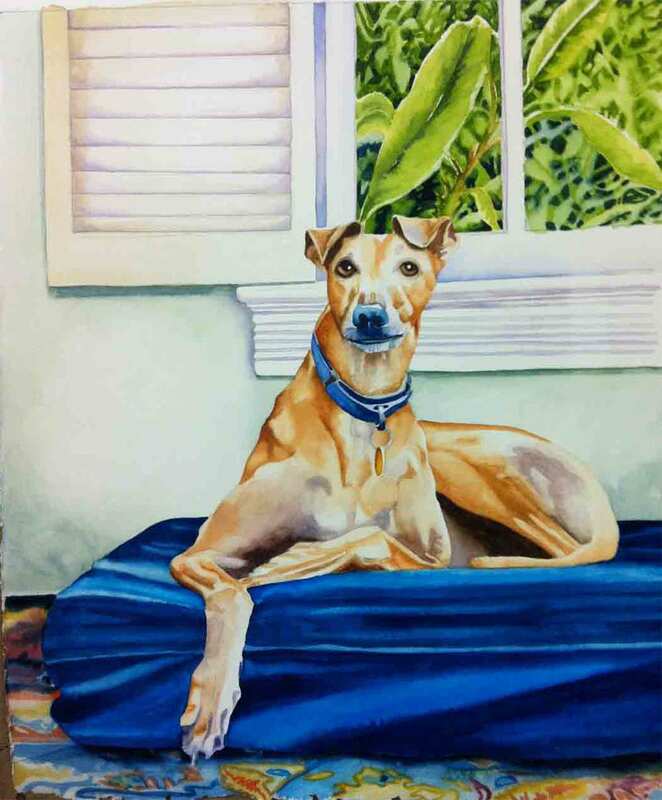 My process is I work from a photograph that you provide unless you live here in Key West. 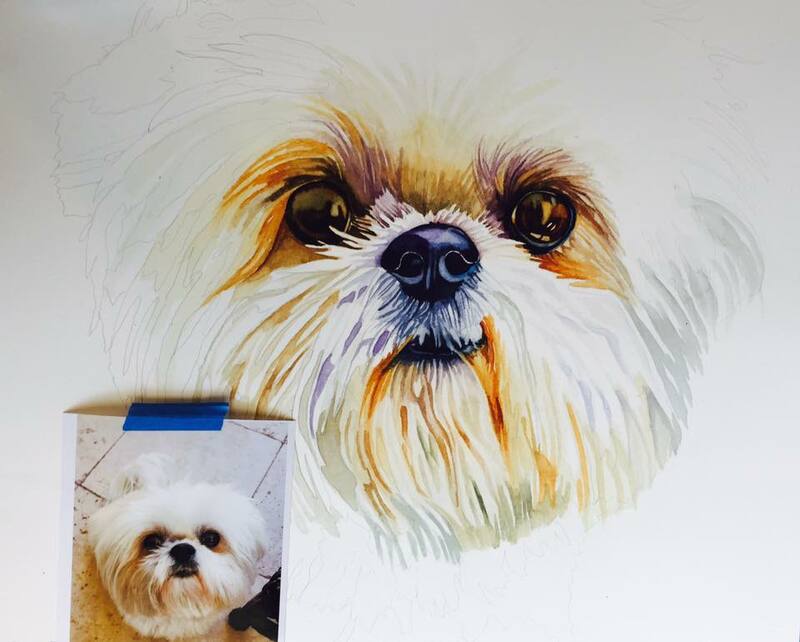 I prefer to get as many as ten images of your pet and then talk with you about which one I think would make the best painting. When we decide which image to go with I start the drawing process. 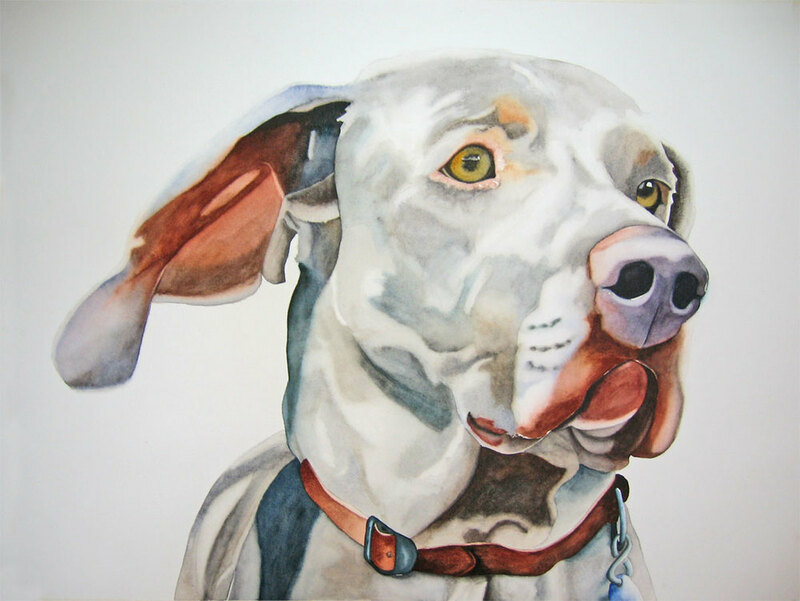 I email you the drawing of the pet, and then the painting as it unfolds so that you are a part of the process. 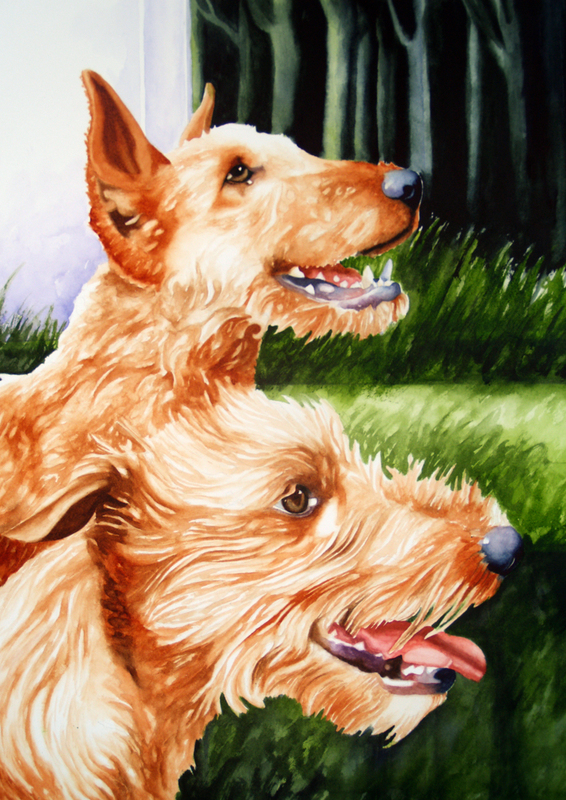 When the painting is finished and you are fully satisfied with the painting, I matte it and ship it out to you. 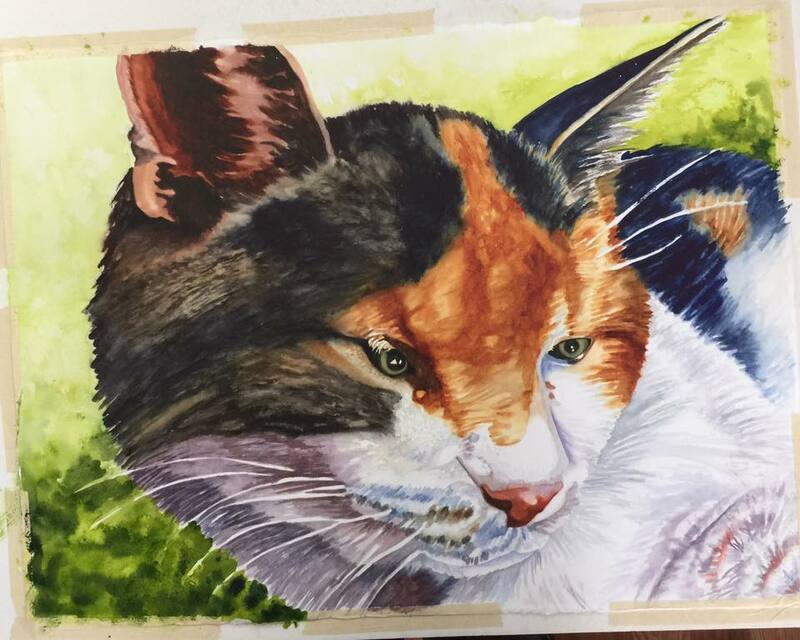 Feel free to contact me to get more information on the process. 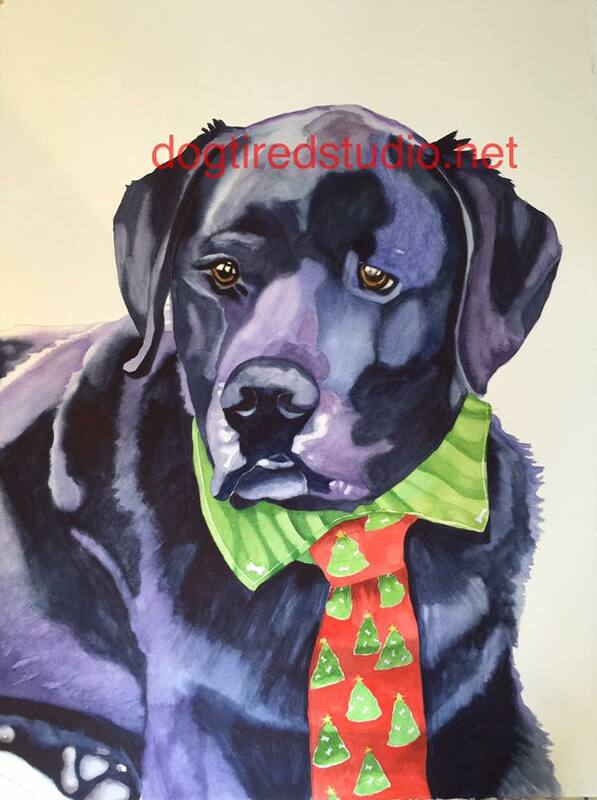 Custom Pet Portraits are available ....price $600 is one price no matter what size up to a full sheet of watercolor paper 20x30....please add $100 extra per added pet.